The Calming Aftershave Balm works completely in synergy with our Pre Shaving Scrub and Foaming Shaving Oil. After shaving, treat your skin with the Calming Balm. The unique composition of the ingredients will retain your skin's self correction. The Calming Aftershave Balm works completely in synergy with the scrub and oil. 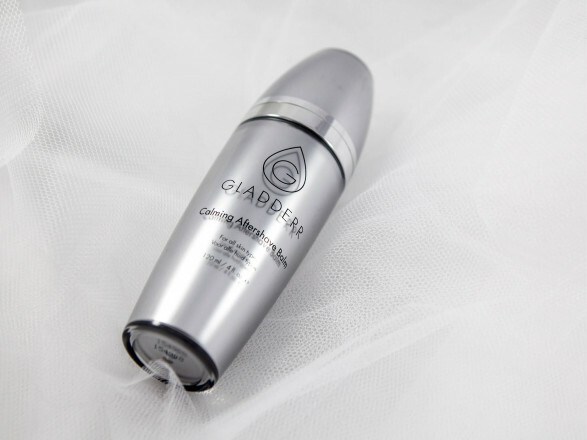 After shaving, treat your skin to the GLADDERR Calming Aftershave Balm for a calming effect. The ingenious composition of the balsam means that your skin retains its capability of self correction. In combination with the GLADDERR shaving tips, this helps the skin become accustomed to your shaving pattern and will give you optimum shaving results. The Symcalmin™ anti-irritant complex calms the skin directly and has a strong effect on itchiness, redness and irritation. The addition of aloe vera, allantoine and glycerine softens the skin and boosts the natural moisture balance. Panthenol has a vitamin-forming property because it penetrates the skin, where it is converted into vitamin B5, which accelerates skin renewal. It also keeps the skin soft and elastic, while reducing superficial signs of ageing. Last but not least, the product contains Capislow™, which slows hair growth by up to 35%. The result is fresh and soft skin which stays smooth longer. 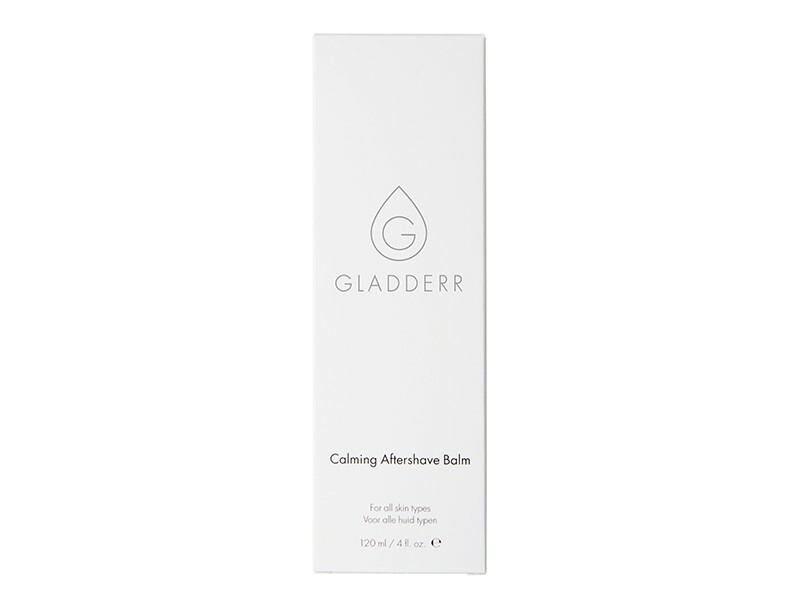 Moisturise your shaven body skin with GLADDERR Calming Aftershave Balm for a lovely, softening effect. We always advise against the use of baby oil and baby powder. Allow the balm to soak into the skin before putting on your clothes.